Conspiracy Theories: What really happened to Netaji Subhas Chandra Bose? Netaji Subash Chandra Bose’s death is still shrouded in mystery. But the various conspiracy theories about it make it even more mysterious. While recently the news about Gumnami Baba, a revered saint of Faizabad, Uttar Pradesh, who was believed to be Bose himself, came to the fore, we never cease to imagine how the great man must have spent his last moments on earth. 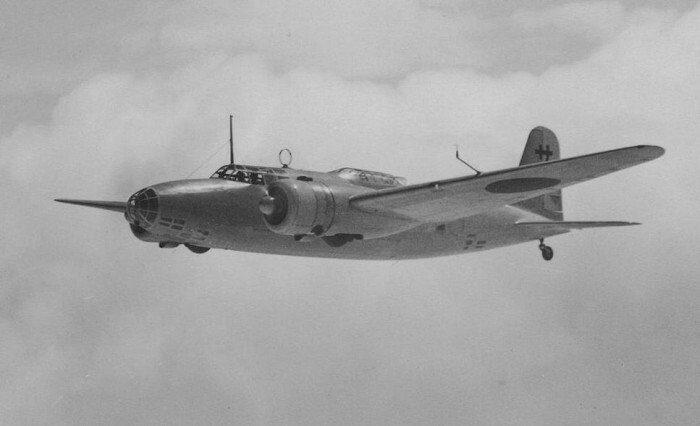 At 2 pm on August 17, 1945, a Mitsubishi Ki-21 heavy bomber took off from Saigon airport. Inside the aircraft were 13 people, including Lt Gen Tsunamasa Shidei of the Imperial Japanese Army, Col Habibur Rahman of the Indian National Army and one man who sat in a seat a little behind the portside wing – Netaji Subhas Chandra Bose. After an overnight halt in Vietnam, on August 18, the plane arrived to refuel in Taihoku, Formosa (now Taipei, Taiwan). Moments after the flight took off again, passengers heard a loud ‘bang’. Ground crew saw the portside engine fall off, and the plane crashed. The pilots and Lt Gen Shidei were killed instantly, Col Rahman fell unconscious. Bose survived, but his gasoline-soaked clothes ignited, turning him into a human torch. A few hours later, in coma in a hospital, Netaji Subhas Chandra Bose passed away. This is the established account of how one of India’s most famous freedom fighters died. What you will read next is a saga of secrets, political vendetta, outrageous claims, half-truths and full rumours that strive to prove that Netaji did not die on that fateful day in Taiwan. In the immediate aftermath, an intriguing, and perhaps damning fact emerged: Netaji’s other lieutenants, who were to follow him on another flight, never saw his body. No one took photographs of Bose’s injuries, or his body, nor was a death certificate issued. Soon, rumours began doing the rounds that Bose was either in Soviet-held Manchuria, a prisoner of the Soviet Army, or had gone into hiding in Russia. Lakshmi Swaminathan, of the INA’s Jhansi Regiment, said in 1946 she thought Bose was in China. In the 1950s, there emerged stories that Netaji had become a sadhu. And, the most elaborate of these took shape a decade later. Some of Netaji’s old associates formed the ‘Subhasbadi Janata’, and claimed Bose was now the chief sadhu in an ashram in Shoulmari in North Bengal. 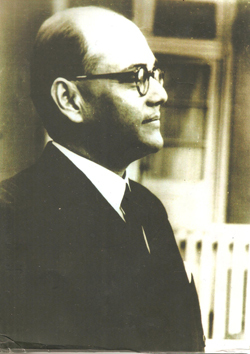 Through well-crafted newspapers and magazines, the organisation was able to, quite convincingly, recreate Bose’s post-war activities. According to the ‘Subhasbadis’, Bose returned to India after the war, became a sadhu, attended Gandhi’s funeral unseen in 1948, lived in a temple in Bareilly in the late 1950s, before finally settling in Shoulmari as Srimat Saradanandaji in 1959. Other versions, too, began gathering credence. Bose remained either in Maoist China or the Soviet Union. 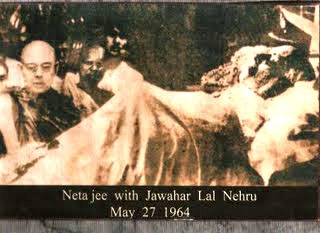 He attended Jawaharlal Nehru’s cremation in 1964, of which there appeared to even be photographic evidence. There were claims that Soviet leader Nikita Khrushchev told an interpreter in Delhi that the Soviet Union could produce Bose in 45 days if India so desired. After independence, Nehru took the Foreign Affairs portfolio himself and appointed Vijayalekshmi Pandit as the ambassador to Russia. After her term ended, Dr S. Radhakrishnan took her place. There are reports that Dr Saroj Das, of Calcutta University, told his friend Dr RC Muzumdar that Dr Radhakrishnan had told him that Bose was in Russia. In another report, former Indian ambassador Dr Satyanarayana Sinha met CPI founder Abani Mukherjee’s son Georgey, who said his father and Netaji were imprisoned in adjacent cells in Siberia. In 1995, a team from Calcutta’s Asiatic Society, researching Indo-Soviet ties in Moscow, found a bunch of declassified files that hinted at Bose having been in the USSR after 1945. Dr Purobi Roy, a member of the team of scholars, said she found a document stamped “most secret”, dated 1946, in the military archives of Paddolosk, near Moscow, which mentioned Stalin and Molotov discussing Bose’s plans — whether he would remain in the USSR or leave. Dr Roy also said she found a KGB report in Bombay from 1946, which said, “it is not possible to work with Nehru or Gandhi, we have to use Subhas Bose”. This implies Bose was still alive in 1946. Of all this, the most enduring legend is of a sadhu in Faizabad whom the locals called Gumnami Baba, who went by the name Bhagwanji. Bhagwanji, they say, was a monk who lived in Uttar Pradesh – Lucknow, Faizabad, Sitapur, Basti and Ayodhya – for more than 30 years till his death on September 16, 1985. He maintained contact with Dr Pavitra Mohan Roy, the former top Secret Service agent of the INA. 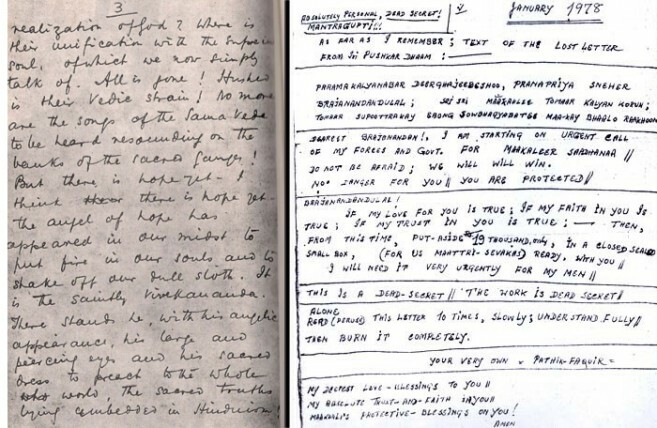 However, more than his life, what Bhagwanji left behind after his death seems to confirm that the sadhu and Bose were one and the same: Gold-rimmed spectacles identical to what Netaji was always pictured wearing, powerful German binoculars, a colour photograph of Swami Vivekananda, Bengali books, the original copy of the summons issued to Suresh Chandra Bose to appear before the Khosla Commission, a map of undivided India, an album containing family photographs of Netaji Subhas Chandra Bose. Other items recovered included a torch pencil generally used in map-making by military personnel, newspaper clippings about Netaji’s ‘death’ probe, letters from Netaji’s followers. Photographs found among Bhagwanji’s belongings indicate he celebrated his birthday on January 23. Netaji could not have died in a plane crash because no aviation accident occurred in Taipei on August 18, 1945. In 2005, the BBC reported that not only did the Taiwanese government reject the Bose-died-in-a-plane-crash-in-Taipei story, it also denied any plane crashes occurred between August 14 and September 20 that year. Most recently, the BJP’s Subramanian Swamy has alleged that Bose did not actually die in a plane crash in 1945, but was killed by Soviet dictator Josef Stalin in 1953. “According to the papers that exist with us, Bose had faked his death and escaped to Manchuria in China which was under Russian occupation, hoping Russia would look after him. But Stalin put him in a jail in Siberia. Somewhere around 1953, he hanged or suffocated Bose to death,” said Swamy, demanding that the Netaji files be declassified. However, he conceded, “Declassification of Netaji documents in haste and without judging the consequences would be difficult. India’s relations with Britain and Russia may be affected. The Shah Nawaz Committee of 1956 was India’s first inquiry, comprising three people – Member of Parliament Shah Nawaz Khan, West Bengal government-nominated ICS officer SN Maitra, and Suresh Chandra Bose, Bose’s elder brother. The committee interviewed 67 witnesses in India, Japan, Thailand and Vietnam, including the ‘survivors’ of the plane crash. Most importantly, it interviewed Colonel Habibur Rahman, Bose’s companion on the flight. 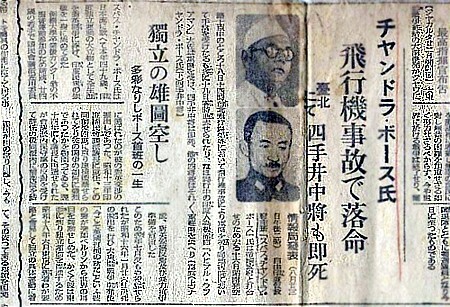 Based on these testimonies, Khan and Maitra concluded Bose had died in a plane crash in Taipei. 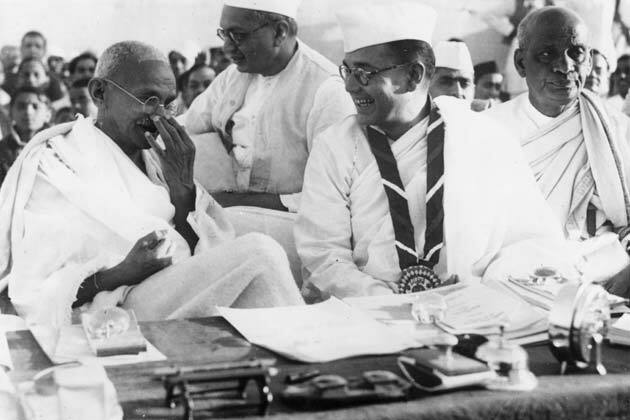 The committee’s third member, Netaji’s brother, however, disputed the report, claiming Jawaharlal Nehru orchestrated the inquiry to infer death by plane crash. 14 years later, the Government of India sanctioned another inquiry, this time by a one-man team – the Khosla Commission of 1970. Deposing before the Khosla Commission, Dr Satyanarayan Sinha had said Colonel Habibur Rehman had confessed to him in 1946 that he lied about Bose dying in a plane crash. However, the commission chose to concur with the two preceding inquiries into Bose’s death. More than 25 years later, yet another Government of India enquiry was constituted — this time, however, by a BJP-led government. In 1999, the Mukherjee Commission, led by retired Supreme Court judge MK Mukherjee, began his exhaustive probe into the Bose mystery. In 2005, after perusing hundreds of documents, taking oral testimonies, and visits to Japan, Russia and Taiwan, the commission reported that the Japanese and the USSR made a secret plan to grant Bose safe passage into the USSR. The commission also said that the ashes kept at Renkoji Temple, believed to be Bose’s, actually were of a Japanese soldier who died of a heart attack. The UPA government rejected the report in Parliament without citing any reason.